Whenever I have some time to kill, you can pretty much guarantee I either make a bee-line for Starbucks or I head to the nearest Boots to have a mooch around. The latter is most certainly a dangerous choice, as there’s always something new I spot or there’s an offer on I can’t pass up, but never the less that is where I tend to go. My most recent trip to Boots resulted in me buying a few bits, some new and some must have favourites, and I thought I would share them with you. I actually haven’t done a haul type of blog post before, but I thought it would be a good way to share some of my new goodies and do a quick review of each. So, let’s get stuck in, shall we? I was so excited when L’Oreal launched this new range of nail varnish. 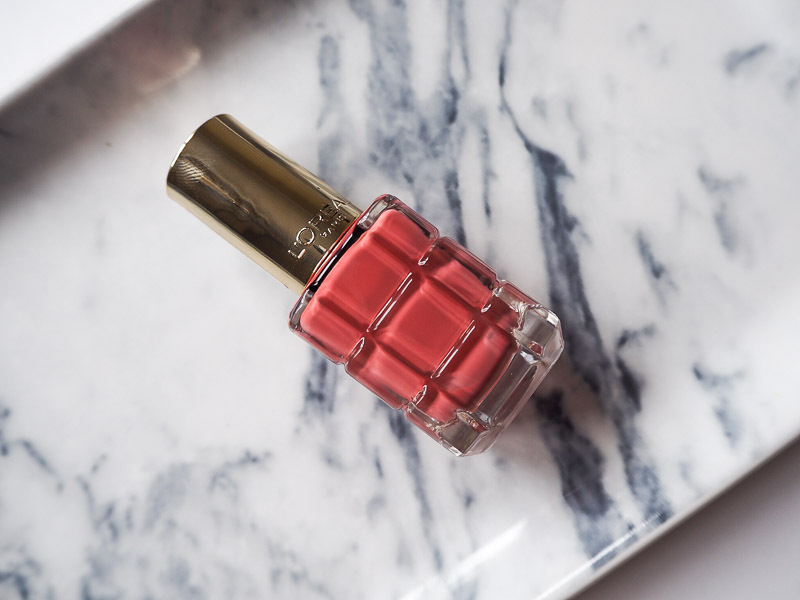 They’re described as being L’Oreal’s first polish that is enriched with precious oils, offering intense colour and shine in one stroke. I don’t often pay too much attention to these kinds of claims from nail polishes, and instead I usually just go off the colours and see if any catch my eye. With this launch though, all of the colours looked gorgeous, and I’m not gonna lie, I really loved the packaging (yes, I judged them by the packaging. I’m shallow, I know!). It’s actually some of the best nail varnish packaging I’ve seen, and it looks very luxe and stylish. I also think the range of colours available is brilliant. 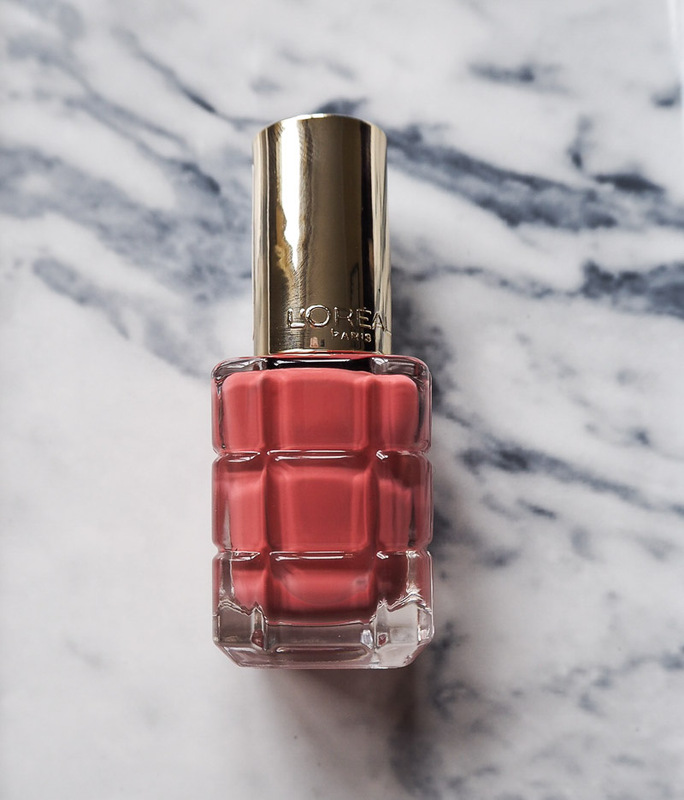 I never buy more than one shade from a new brand or range in case I don’t like the formula, so I narrowed it down to this colour which is called Rose Ballet as I don’t have any other like it in my collection. 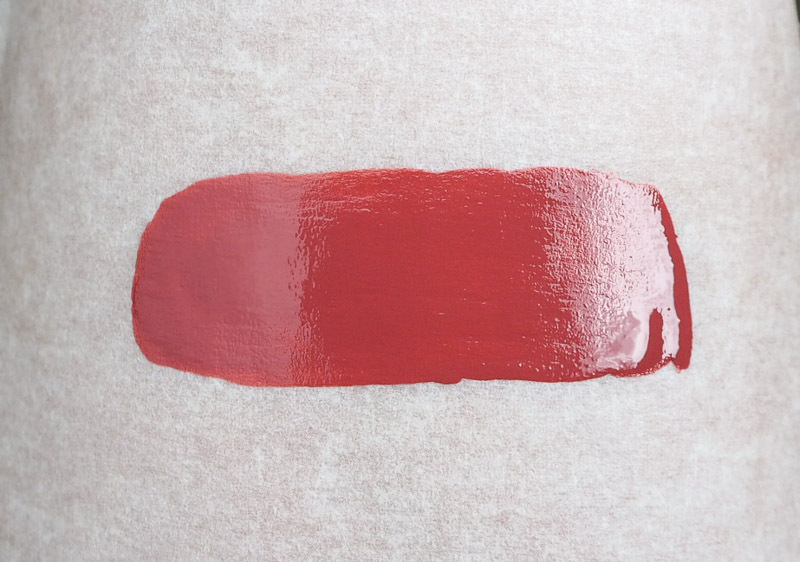 It’s a very unique, beautiful shade of rose with a good amount of pink and brown to it. 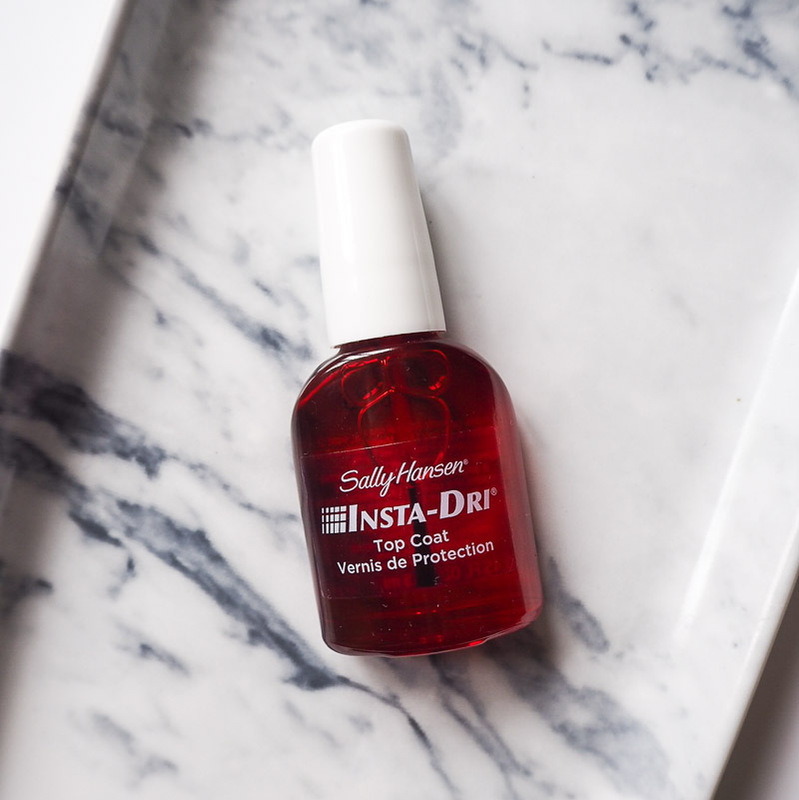 The formula is amazing, full of shine and vibrant opacity, with only one coat needed on some nails, or two thin coats on others. 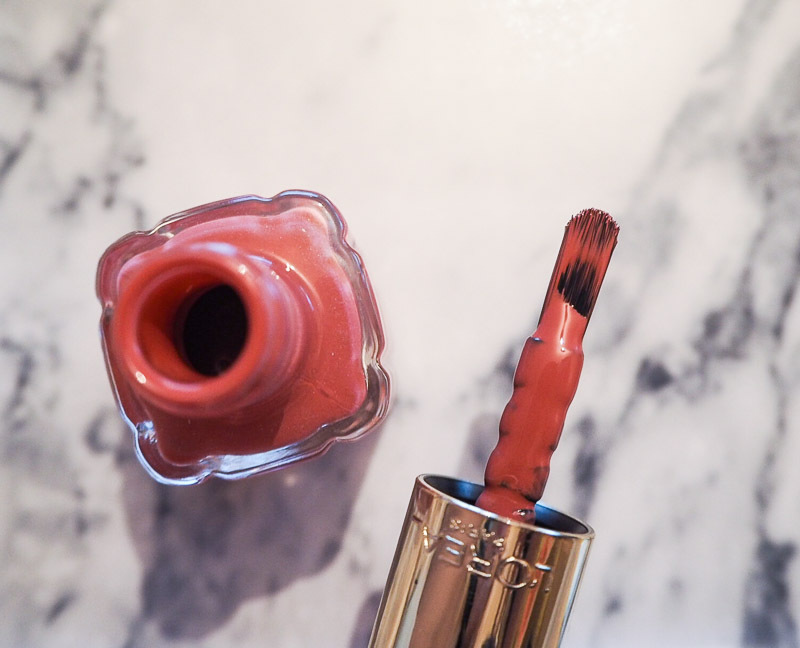 What I also really love about this polish is the brush. It has a very wide, quite round brush which makes application incredibly easy and quick, and it deposits a great amount of product. I’ve honestly used it non-stop since I bought it, and my manicure has been taking less time than it usually does with my other polishes. Plus, the wear time is excellent with minimal chipping. I’m so impressed with this polish, and I’m dying to get some more shades from the range to see if they perform as well as this one does. 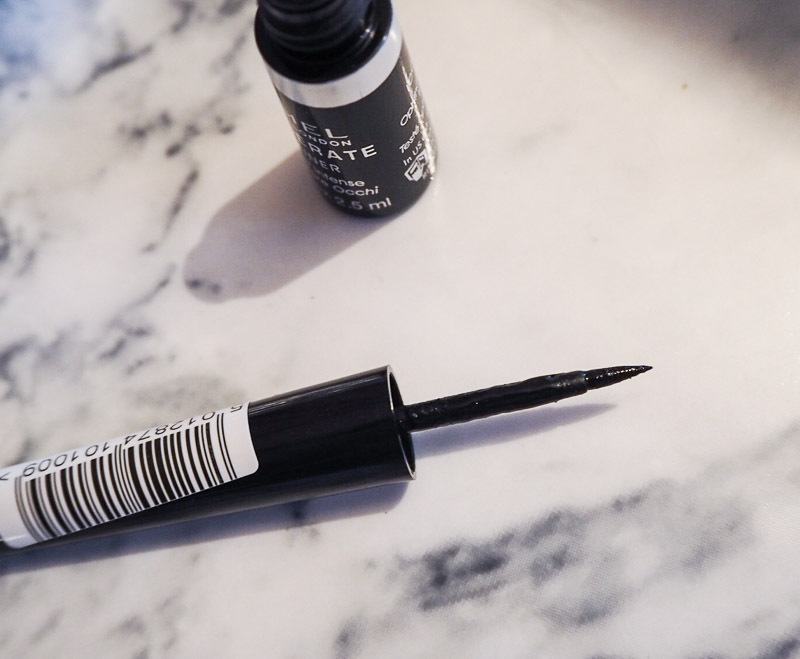 This right here is my go to liquid eye liner, an absolute must have make up product for me. I feel almost naked when I don’t have time to do my eye liner and I’m forced to step out without my cat flick. 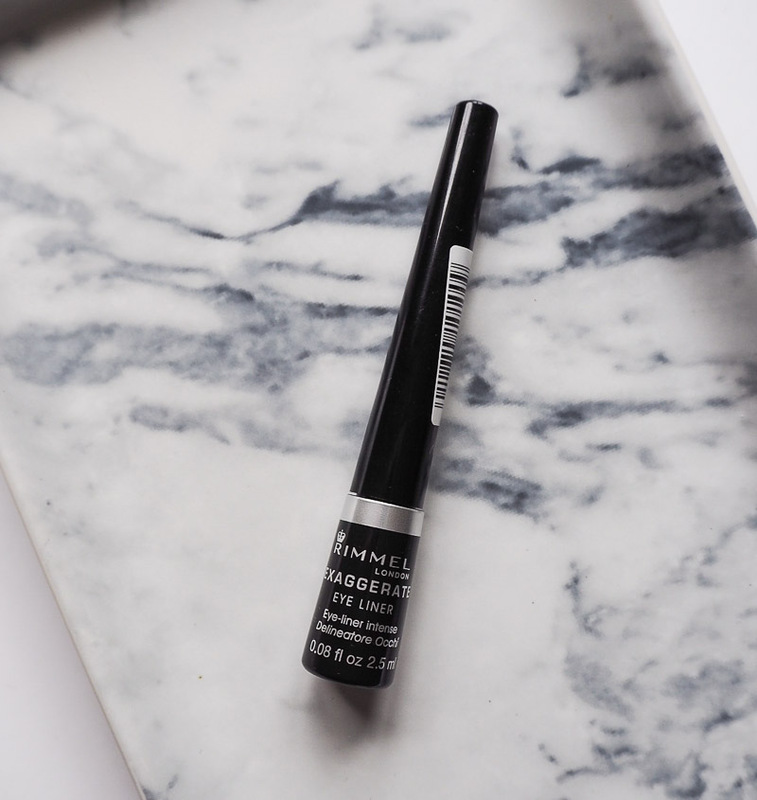 I’ve actually used this particular liner from Rimmel since I first started using liquid liner about 11 years ago. It is by no means perfect, and I do have some minor gripes with it such as some flaking and fall out (I hate those dreaded little black bits that fall under your eyes). But no matter how many other, and often more expensive liquid liners I try, they never end up being as good as this little drug store gem. The brush is just the right firmness to make for easy and steady application with a pointed tip for the precision needed at the inner corner and outer flick. I always have a spare one in the house for when it starts to get a bit too thick or it runs out as I cannot live without it. I will continue my search for the perfect liner, but by this point I don’t think I’ll find one that beats this. The price is a major bonus too as it’s only £5.29, and for the solid, long lasting black line it gives you can’t complain. 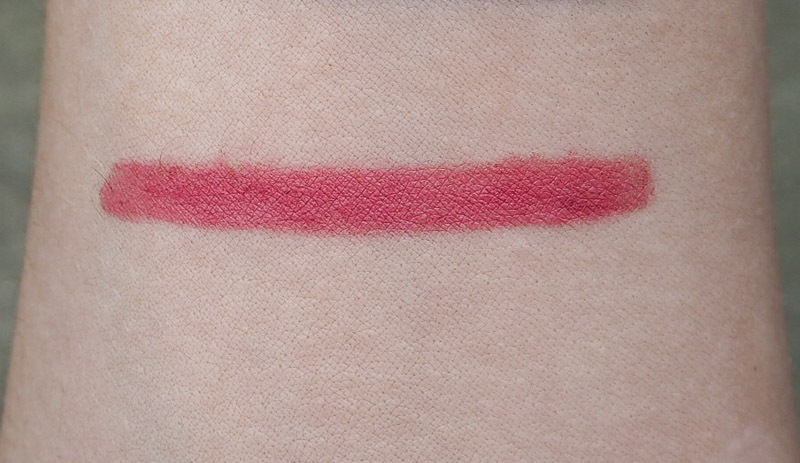 I was after a rose pink lip liner and this Color Sensational liner from Maybelline was exactly the shade I was looking for. It’s such a pretty colour. 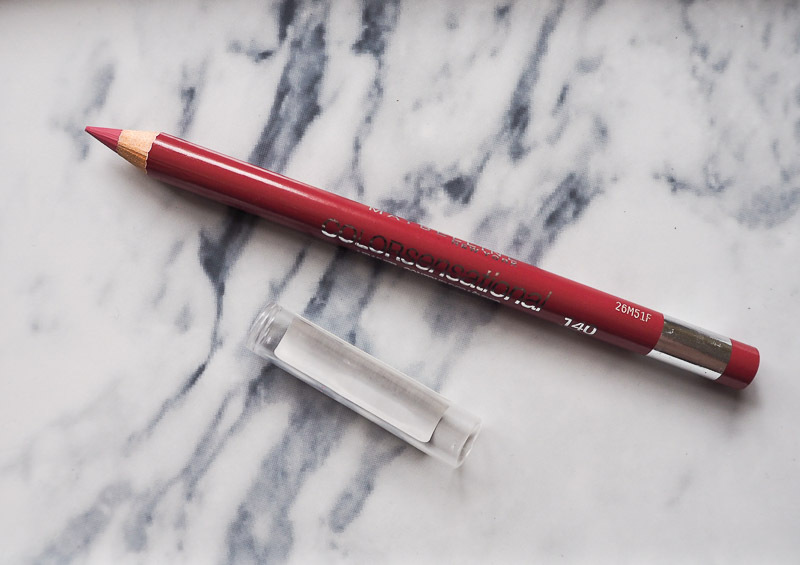 The formula is lovely too, it applies smoothly and easily, it has great precision to define the lip line, and the wear time is excellent. I have tried so many top coats over the years I’ve lost count. 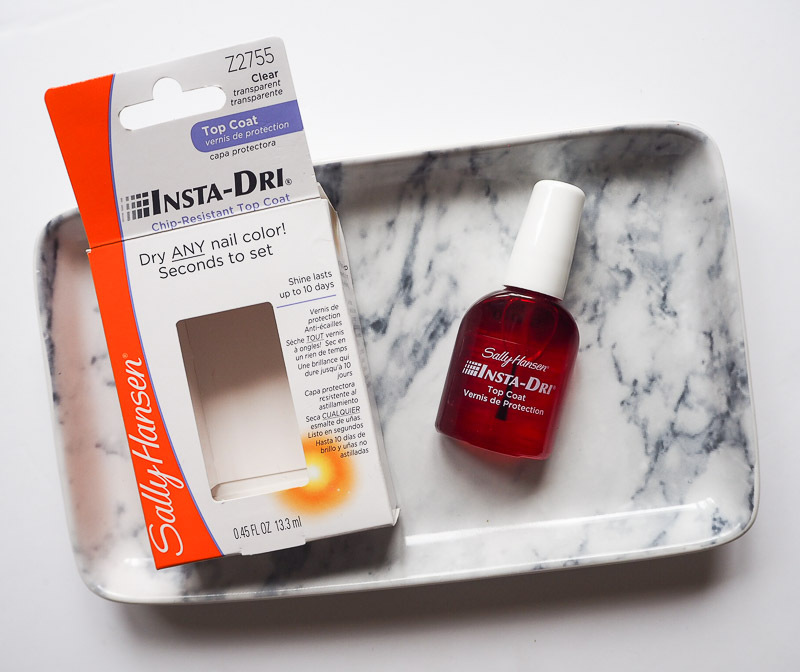 I started using this Sally Hansen top coat about 6 or 7 months ago and I was immediately impressed. I’m impatient when it comes to waiting for my nails to dry, so a fast drying top coat is essential for me. This one actually claims to dry any nail colour in just 30 seconds, which seems like an exaggeration if you ask me. Don’t get me wrong it is definitely fast drying, but in 30 seconds? I don’t think so. It probably does dry it to a certain extent, but not to the point where you’re safe to actually use your hands without smudging and ruining all of your work. I like to leave them a good 5 minutes or so and even then I am extremely careful for as long as possible. 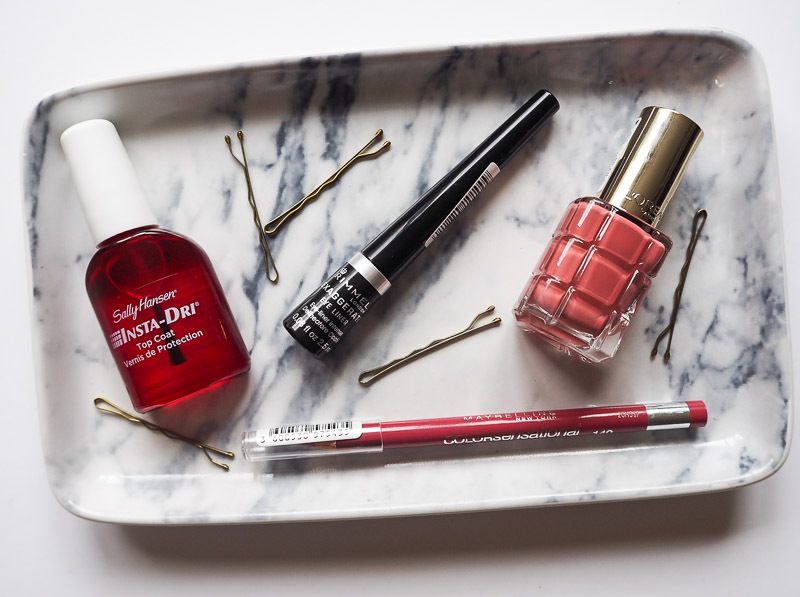 It’s also an anti-chip top coat, which I do agree with as my manicures last a lot longer with this than any other top coat I’ve tried and there is certainly less chipping. It also gives amazing shine to my nails which is important to me. It‘s definitely the best top coat I’ve ever used and I’m already on my second bottle of it. I don’t think I could live without dry shampoo. Yes, I’m being dramatic, but seriously, I don’t know how I coped before I started using it. My hair is very fine and goes greasy too quickly, and I used to have to wash it every single day which drove me mad. Then I heard about trying talcum powder to help it last a little bit longer. It worked for an extra day, but let’s be honest it did not look good. I was fortunate though as I have blonde hair so I didn’t have the tell-tale white powder clearly visible for all to see. But then along came Batiste with their miracle in a bottle. As I said I have fine hair, and it’s constantly flat to my head, requiring a whole army of volumising products. 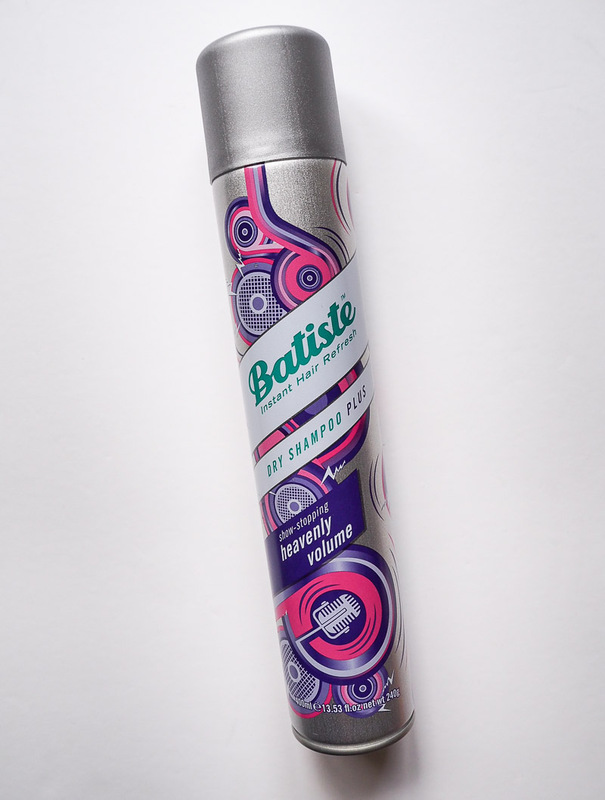 Batiste’s volumising dry shampoo is therefore an absolute life saver for me as it does both in one; it refreshes my hair whilst adding some much needed volume. I don’t know about you but I am forever having my hair grips magically disappear. It’s crazy how many have gone missing. Anyway, I was on my last couple of grips and desperately needed some more so I picked these Boots ones up. 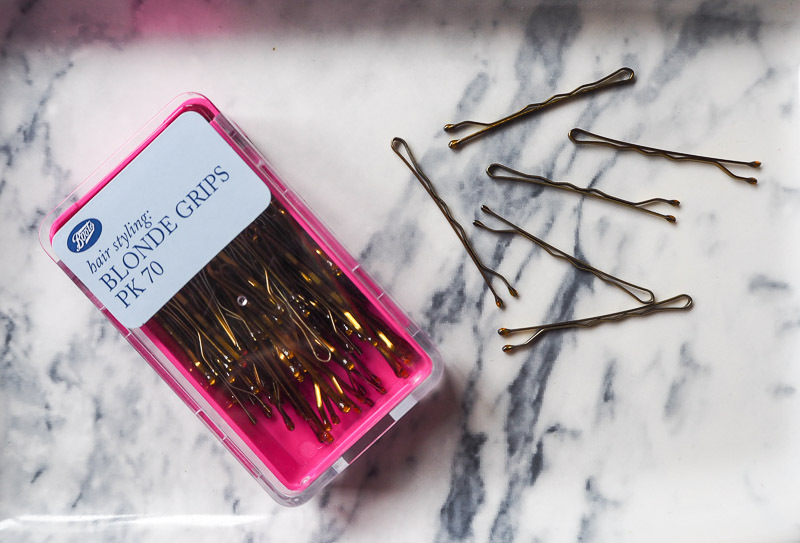 I really like them as they have a tighter grip which I need for my fine and often slippery hair. I got this pack of 70 grips for £2.50 which I thought was quite reasonable. Now let’s see how long I can keep them for. So, there you have it, my latest buys from Boots. Be sure to let me know if you’ve tried any of these products as I’d love to know what you think. Oh this is such a great read! Please do more posts like this :D I love the packaging of the L'Oréal polish as well, so cool, and the colour you got is amazing indeed! And I feel like I should totally try that Rimmel liquid eyeliner, it sounds fantastic! Funnily enough I went to Boots yesterday and couldn't stop lusting over that L'Oreal nail polish. The packaging is so pretty. That Rimmel eyeliner is my absolute favourite ever! 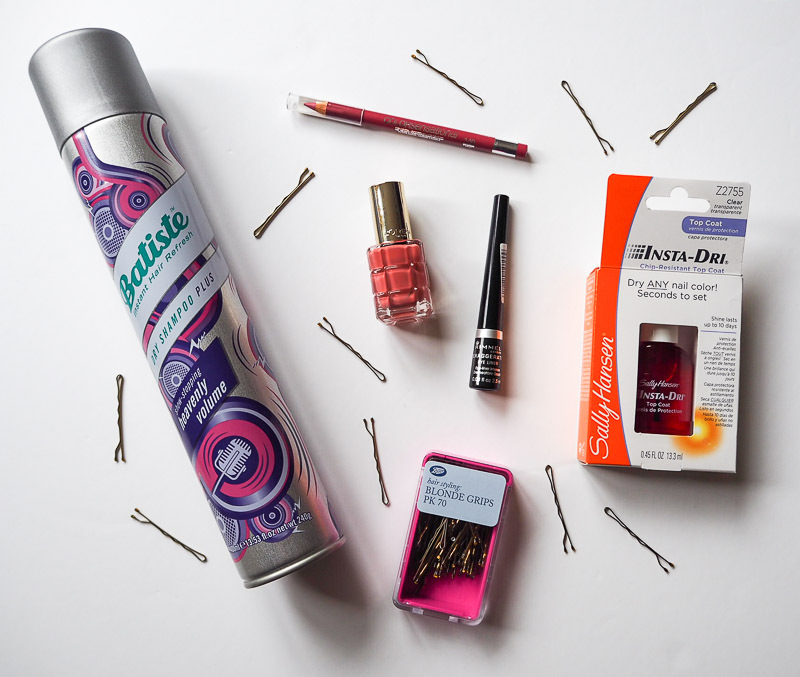 It's so good, plus you can't go wrong with Batiste for dry shampoo. Great haul lovely!